What's GamesCom and what should we expect? 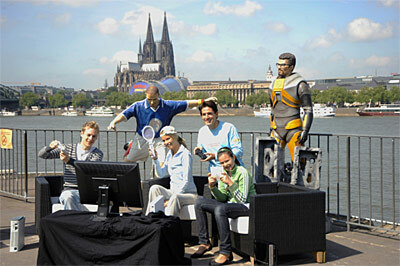 - GamesCom is another big time event in the video game industry. This year's GamesCom is taking place is K�ln (Cologne), Germany, hosting more than 420 exhibitors from 30 countries. Initial expectations include more than 150 video game premieres and new introductions, including world and European premieres. If you want to find out what's been announced and check out the latest video game trailers, this is the place to be. Read on!